Mens sweat jacket from the brand Anvil • 75% cotton/25% polyester pre-shrunk fleece on the inside (270 g/m²) • contrasting white zip tape • metal YKK zipper • hood with contrasting white drawstring • patch pockets • double stitched seams . This sweat jacket can be ordered in combination with the HoodedStyle sweat jacket for ladies. Available mens sizes: S, M, L, XL, XXL and 3XL. Available in a mens and ladies model (Item 7023). 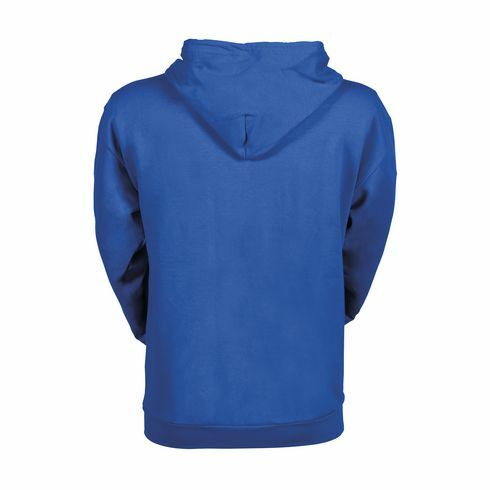 These sweat jackets can be ordered in any combination.